Whimsical pine country farmhouse style Entertainment unit/ storage set with two side shelf units. 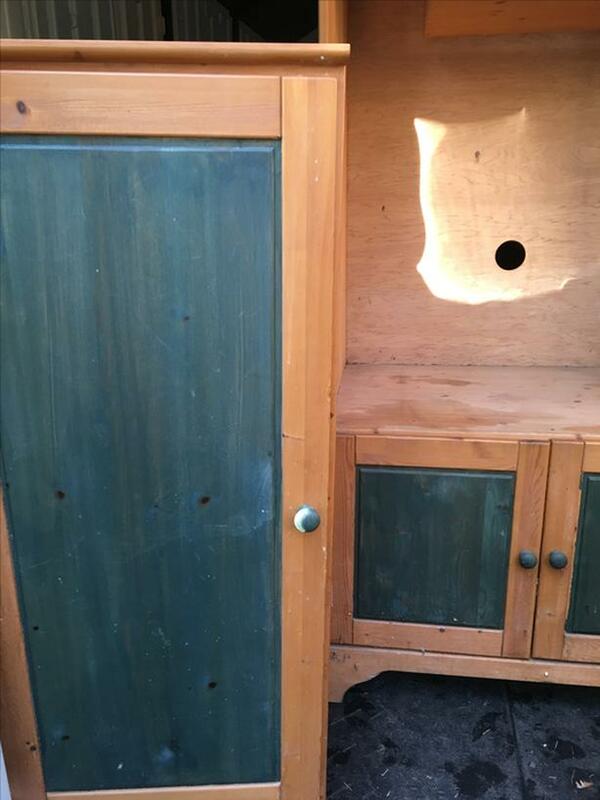 All three coordinate but could be used separately, the two side cupboards have adjustable shelfs with doors, or in a dining room - could use a refresh sand and paint. sorry, it's in my shed and could only photograph the main with the one side. there are a few dings and scratches- been in storage for some time. just over 5ft by 3ft main pc-each side 50inch tall by about 2ft. It's heavy so please bring help to load, I'm unable to help lift it.